Looking to save some extra cash on your next smartphone budget for 2018? Here are the list of top eight best android phones you can buy in 2018. These smartphones or android phones are relatively cheap, what if i tell you that in my list you can get a very cheap android smartphone for your 2017 / 2018 budget for as low as $70 which is equivalent to N24,000 in Nigerian Currency. Isn’t that amazing, i hope you all know that this is no Black Friday deal or anything of that such, this is REALITY bro. The Lenovo P2 is just the best in terms of battery life, the smartphone weighs 177g, but it’s a small price to pay for the longest-lasting smartphone on the market. It isn’t just the battery life either, the Lenovo P2’s performance, build quality, display and rating are all top class. Processor: Octa-core 2.0GHz Snapdragon 625; Display: 5.5inch 1,920 x 1,080 resolution; Storage: 32GB; Camera: 13-megapixel; Operating system: Android 6.0.1; Weight: 177g. The Alcatel’s Pixi 4 might be the cheapest on the list but i am sure it is no match to other top notch smartphones in the market now, for just £59 you can get a 5.0inch display, Android 6.0.1 Marshmallow and an amazing 5MP Camera. At this awesome price, you can’t really ask for more, the Alcatel Pixi 4 puts some of those cost phones in the android market to shame. The Moto G4 is here and even better than last year’s Moto G4, the Moto G4is definitely a very huge step forward. The Smartphone sports an octa-core Snapdragon 617 chip at its disposal, its speed is just ahead of every other 2018 budget phone you can buy today, giving it as much processing power as phones that are twice the price. It effectively makes every mid-range smartphone of the past six months utterly irrelevant, as you can get exactly the same kind of performance for only $148. 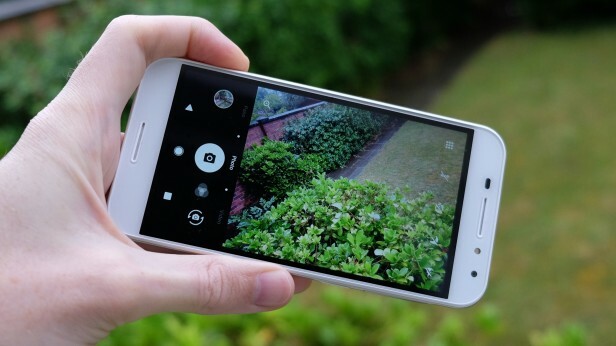 Its camera is also better than last year’s Moto G smartphone, the Moto G4 sports an amazing 13MP Camera and its huge battery provides plenty of lasting power. Just throw in a beautiful Full HD camera shot and you are smiling. The ZTE Blade V8 Pro is a popular smartphone for selfie lovers, the ZTE Blade V8 Pro is a compelling option and costs only $199. It spots a dual 13MP rear camera that automatically enables Portrait Mode for photo effects, a 5.5 inch 1080p display is not quite bad for the selfie queen. Although you won’t get iPhone quality images in the smartphone but its camera features and effects are absolutely perfect, it detects outlines when applying the blur. The Blade V8 runs a lower android version (Android 6 Marshmallow) unlike other smartphone with higher android version in the android market. The new Vodafone Smart Prime 7 is available for just £75 on Vodafone’s PAYG service, this incredible budget device is a great buy for first-time smartphone owners. Its already installed Vodafone apps make it easy to keep track of your data allowance and also helps to manage your bill. If you’re looking for an extremely low-cost and compact Android phone, the Motorola Moto E4 is a very perfect choice because of its good performance and a great 4.5inch screen size, the Motorola Moto E4’s battery life of (13hours, 30minutes) also makes it stand out among the crowd in my list. I know what you might be thinking, another Vodafone smartphone on the list. Well, don’t be surprised to see Vodafone Android Phones leading someday – somewhere – sometime, the Vodafone Smart N8 sports amazing features even better than the Smart Prime 7, with a much better camera and also an amazing fingerprint reader too. For as low as £85, you can get this fingerprint sensor equipped android phone for your 2018 budget, the smartphone runs Android 7.0 Nougat with a very high performance rating as well. 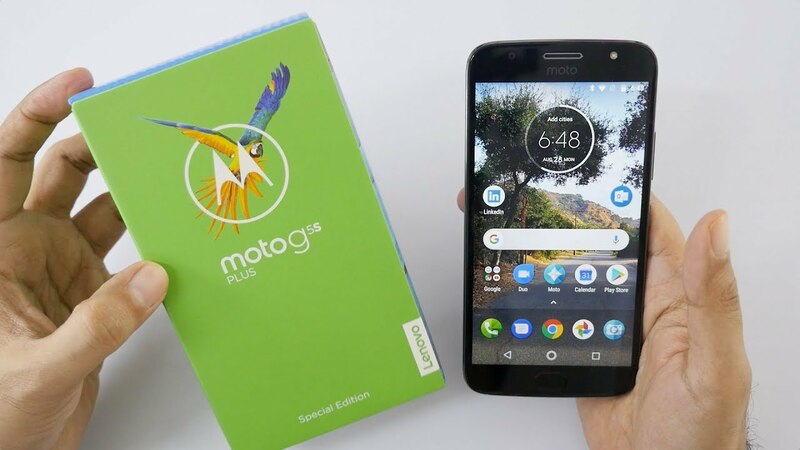 Another 2018 budget smartphone, the Moto G5S Plus was actually released on the 29th of September, 2017. The Motorola Smartphone only costs $230, the smartphone is the successor to its predecessor, the Moto G5 Plus. The new smartphone sports a dual rear 13MP camera, a very reliable battery life with 3,000mAh, a standard 5.5 inch display and an octa-core snapdragon 625 chipset that can go all the way up to 2.0GHz. This list of cheap and best android smartphone budget for 2017/2018 was crafted specially for you all that are still contemplating on which smartphone or android phone to buy in 2018. I hope my list of best smartphones for 2018 were well arranged and i also hope you made the right choice by ordering yours from Jumia. Kindly use the comment box to share your opinion or thought on today’s topic and don’t forget to use the share button to share my post among friends and loved ones.